Exuding contemporary design flair, this sleek titanium ring is created to be incredibly hardwearing. Bold carbon fibre detailing around the centre of the band adds an eye-catching finishing touch. 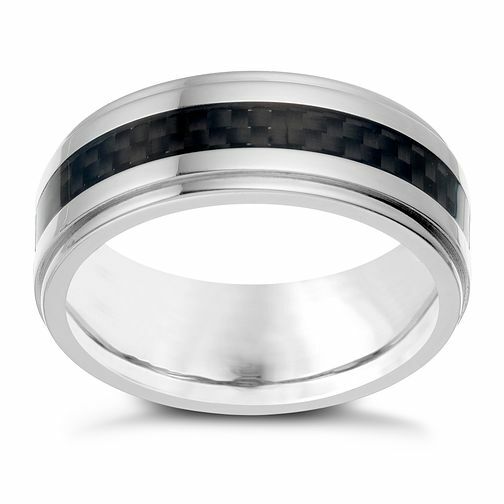 Titanium carbon fibre detail ring is rated 5.0 out of 5 by 4. Rated 5 out of 5 by Anonymous from Lovely finish quality! The product had a lovely finish, the carbon on the ring looked amazing with the titanium. Over satisfied as so is my partner for our 6 year anniversary.